I signed up to Orla's 12 week half marathon training plan to do the Rock N Roll half marathon last August. I can't recommend Orla enough, her plan was foolproof. She told us from the beginning that it would be the easiest half marathon we would ever run and she was spot on. The plan was very detailed and 100% manageable and achievable. Orla was constantly in touch with us, ensuring we were achieving our weekly goals and answering any questions we had. Even when she was on holidays she was checking in with us. She constantly motivated, supported and encouraged us and got us through those 12 weeks training to complete the Half Marathon injury free and I can honestly say I enjoyed every minute of it. I have learned so much about running, training and nutrition from Orla. When I started training for the half marathon I was able to run 10km. Preparing to run 21km involved a lot more work and a different style of training than I was used to. Orla explained how important it was to combine running with strength training, which she provided in her bootcamp classes. I can't emphasise enough how important the bootcamp classes were for improving my fitness and getting me strong enough to run 21km and ensuring I didn't get injured along the way. Orla also asked us to keep food diaries and went though them for us if we wanted her to. She gave me tips to improve my meals and snacks to ensure I would have enough energy to train. She explained the science behind it so we understood why we needed to make changes to our meals and snacks. Orla came running with us as often as possible, especially on our 'long slow runs' so was on hand to answer any questions we had. She brought us on different routes and to different locations to keep it interesting for us and kept challenging us along the way, making sure we were totally prepared for our first half marathon. I was absolutely hooked after that and have gone on to complete another 3 half marathons and plan on plenty more in 2017. I would never have done this without Orla's commitment and dedication and can say to anyone considering signing up for a half marathon in 2017, sign up with Orla, she will get you to that finish line with a smile on your face. I honestly didn't realise when I rocked up to Orla's mojo bootcamp one cold October Monday night at the end of 2015 that it was going to be of those truly life changing decisions. I had been a runner previously but had definitely lost my running buzz and confidence.. it began with Orla getting me back Up to 10km distance through working on strengthening and cardio in bootcamp and I was thrilled with my achievements at that however the lure of 'the easiest half marathon you will ever run' as Orla articulately put it was strong and I already really trusted Orla's methods and advice having trained with the group for about 6months and making gains in my fitness and overall strength. She has a kind of way of motivating you and making you really believe you can achieve what you are setting out to but more importantly she provides you with a whole easy to follow step by step guide on how to actually achieve it and she was also always on hand to answer the many (ridiculous I'm sure) questions about nutrition for training, what to eat before a long run, what pace will I run x y or z run at.. and a big one over the summer.. can I really wear shorts??!!! Lol! My memories of summer 2016 are filled with fun and friendships formed while clocking up the training miles and yes it was the easiest half marathon I had ever run.. until the next one and the next one and the next one.. If you set yourself a fitness goal but aren't quite sure how you are going to get there I cannot put in words how much I would recommend getting in touch with Orla. I joined Mojo Fitness bootcamp classes in October 2015 and as my fitness improved i ventured out for my first run with the group. Orla encouraged us all and made us believe that each and everyone of us was capable of doing a 5k. And she was right.. the 5ks became 10ks and talk of a half marathon began.. Initially there was no way i was doing it but after speaking to Orla and going through her detailed training plan and nutrional guide with her I decided to go for it. As a group we would organise our short runs and one LSR a week. Orla was always at hand to give advice on anything from running, nutrition, injury even what to wear on the day itself!! We all still attended the two bootcamp classes weekly as these played a vital role in our training plan as they helped to strenghten our muscles etc and if required Orla would tailor make exercises for individuals. As someone who had never ran it was great to have guidance and a place to get my questions answered. Finally the day came and we all completed the RockNRoll Half Marathon. Personally I achieved something that day that i honestly never thought was possible and it was all down to Orla. It was her encouragement , dedication and belief in me that got me to finish my first half marathon and continues to this very day. I just wanted to write you a personal thank you for all the help and motivation over the last few weeks. Over the last year I just couldn't seem to get myself back into my fitness properly or the diet but in early November I gave myself the kick up the arse I needed and got my healthy eating going and along with the buggy boot camp and then joining the Wednesday night class I finally started feeling fit again and then you got me running! I can't believe I'm actually going to run a 10k tomorrow and I would never have been able to do that without your encouragement! Especially when I only started running 6 weeks ago! So tomorrow I go into the 10k 11lbs lighter and fitter than I've been in a long time. So thank you again. You've really helped me 'get my mojo back!' And keep me a place for January please! I've been a part of mojo fitness from the beginning with buggy bootcamp. Then the evening bootcamp and with Orla's encouragement started running and did the weekly 5k park runs. Then the idea of the half marathon came up. Orla drew up a detailed training plan and nutrition plan to get us all over the line comfortably and injury free! It is a big commitment- two bootcamps and 3-4 runs a week but Orla is there every step of the way. The strength training from bootcamp goes a long way getting up all those hills! By the end of 2016 I had completed the Dublin race series, numerous 10k events and my second half marathon and I loved every minute of it! I've met a great bunch of ladies through Mojo Fitness and we are planning it all again for 2017. Knowing that Orla will be there along the way makes it that bit easier. At the end of 2015 I had hit my 5th or 6th year of little to no aerobic activity. I was a Yoga enthusiast and was running around after two small kids and thought that was enough. One day over the Christmas period a leaflet came through the door advertising an outdoor bootcamp I was entriqued as I always loved the outdoors and as it was "only" for 6 weeks I signed up. So off I toddled to that first bootcamp, first week of January 2016 and Wow, first class I discovered muscles I never knew existed ! 6 weeks flew by and during this time I learned so much but realised there was so much more to do and learn. Soon I began to hear talk of Parkruns and Orla encouraging us to sign up and add running to our fitness plan. I let the message pass over me for weeks and had plenty of excuses for why Parkruns didn't suit (kids swimming, soccer etc). After bootcamp one night Orla remarked we had just run 3km and suddenly my interest piqued and I thought maybe I'll give it a go. February 27th 2016 I ran, walked, huffed and puffed over the finish line of my first Parkrun (5km) and felt great and couldn't wait to run again. Bootcamp continued and suddenly I could see the benefit of the leg work, core work and the dreaded Hill Sprints for each excercise we did I could feel my body strength developing, my stamina increasing and my goals growing. Orla was always behind me, encouraging, gently directing and always supporting. Orla is a mountain of knowledge from the always varied bootcamps to the importance of nutrition and how we treat our bodies outside class and believe me I tested the theory often enough on how what we put into our bodies can affect our performance ! Around April in 2016 Orla set another challenge for anyone interested; a 10km, and once a week after bootcamp she ran with us advising on posture, breathing, cadence and the right excercises to build strength in the areas needed to enjoy running and run injury free. When I finished the 10km I turned to Orla and said right what's next (a vast difference from my red faced, breathless finish at the parkrun in February). Of course there was always something next and before I knew it I was swept up in an amazing Summers training for my first half marathon with Orla giving up Sunday mornings to plan routes and distances and run with us on them to get us to that 13.1 mile distance. The routes incorporated gentle hills and long slow drags and a few "inclines" all the while with Orla guiding us with advice on posture, breathing but more importantly Mindset ! Bootcamp classes continued and for each class the leg work, core work, hill work and upper body work complimented the running and made those hills a walk in the park. The running continued for me with several Half Marathons and my first marathon completed by the end of 2016. I would highly recommend Orla's bootcamp and running classes for people of all ages and stages of life and fitness. Not only will you achieve goals you never thought possible but you'll meet many like minded people and develop great friendships all while getting fitter, achieving results and learning more than you ever thought possible about your body, mind and nutrition. If anyone told me last year that I would be running weekly 5K Park Runs, running 10K races & completing 3 half marathons in 2016, I would have laughed at them. Having found Mojo Fitness on Facebook I signed up in Jan16 & without a doubt it has been the best decision I've made. Thanks to Orla, she got me motivated to complete my first 10K in Feb. This progressed to training in May for my first half marathon. The support, motivation & encouragement given by Orla was just amazing. The half marathon training was aided by Orla providing us with nutrition advice, a detailed training plan & 2 nights of boot camp for strength/core training per week. I cannot recommend Mojo Fitness highly enough no matter what level of fitness you have. As an added bonus I have met & trained with a great bunch of girls who have become good friends. 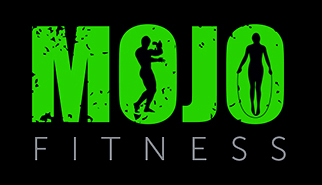 I joined Mojo Fitness wanting to work on my overall strength & fitness. The classes provide great variety for a whole body workout. In addition to the weekly classes I have benefited from excellent advice on diet and nutrition and a tailored training plan which enabled me to improve my running and achieve my goal of completing half marathons. Mojo fitness has so much to offer than just Bootcamp classes; Orla's knowledge, experience & encouragement is so motivating & the result is a fitter, stronger, healthier me! With great confidence I can highly recommend Mojo Fitness to any person at any stage in their fitness journey. Orla will help you easily reach your goals, and before you know it exceed your own expectations though expert advice, planning classes for variety (no chance of boredom! ), nutrition advice and overall making sure you have fun along the way and offering great encouragement. Everyone is capable of Mojo Fitness classes no matter what your starting point is. You will feel stronger and healthier inside and out and make great friends along the way. I joined with the simple goal to attend one 5 week course as a pre holiday blitz and since then never looked back. It's now almost two years of classes and running and I've never been healthier. For many members classes have progressed to Park Runs, 10kms, Half and Full Marathons. Not one of these people had any previous experience achieving such milestones and with Orla's support, mentoring and great planning she made this very achievable for us all.